These smoothie recipes are designed with kids' natural preferences in mind. They're sweet and creamy, like milkshakes, but they are also hearty and healthy enough to be served for breakfast. The key is to make your own smoothies from scratch. That way, you know exactly what goes in them. You can use organic fruits, juices, and dairy products. You won't be adding preservatives or artificial colors or flavorings. As you'll see from these five-minute recipes, they're also a cinch to prepare. 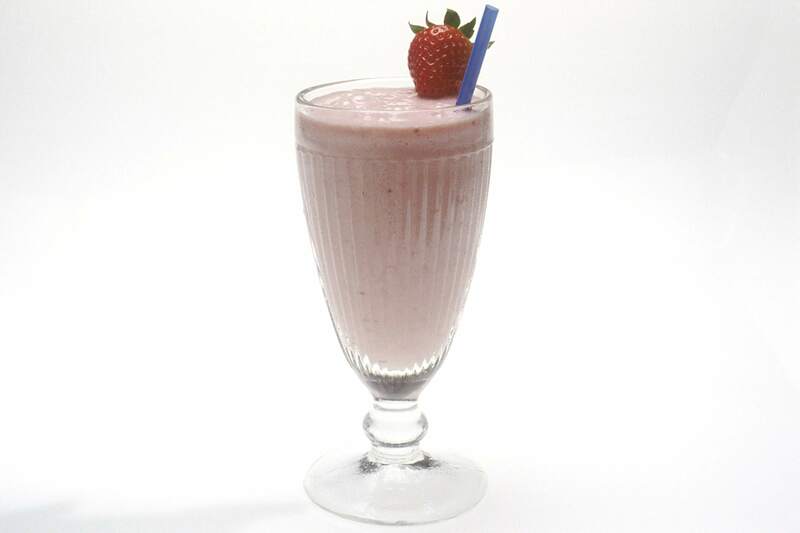 Strawberry smoothies are a classic favorite. With fresh fruit and no-sugar-added juices, this strawberry smoothie is far healthier than many you'll find at smoothie bars and restaurants. Not to mention those suspect fast food shakes that can't even call themselves milkshakes. You'd never believe that this combination of mandarin oranges, pineapple chunks, and vanilla soy milk would yield a smoothie that tastes exactly like an ​orange creamsicle—but it does. This smoothie is high in protein, too, so it will give kids a great start to the day. Freeze the mandarin orange slices ahead of time and use frozen pineapple chunks for the best consistency. This smoothie recipe tastes just like a chocolate banana milkshake. But with 8 grams of protein, 5 grams of fiber and a whopping 29 percent of the recommended daily allowance of calcium, this smoothie makes for one healthy snack. If you allow bananas to get very ripe and brown-spotted, then peel them and freeze them, you will get the most flavor and creamy texture when blended. If you need more chocolate flavor, look for some organic cocoa powder to add. Watermelon smoothies can turn out too watery and juice-like if you aren't careful. There is a special trick to combat this problem and make this watermelon smoothie recipe icy and refreshing—freeze the watermelon chunks in advance. It's best to use seedless watermelon if you don't want to spend time removing the seeds. It's a terrific summer treat. If you love tropical fruit drinks but want something more nutritious, this pineapple coconut smoothie is for you. It has healthy coconut milk and shredded coconut, plus sweet pineapple for a dessert-like taste you will want to enjoy any time of day. Use frozen pineapple chunks. It's a great pina colada taste that you can enjoy along with your kids. Your kids may think this smoothie recipe tastes like cotton candy. It is a sweet and refreshing way to enjoy high-antioxidant blueberries and give your kids the benefit of this superfood. 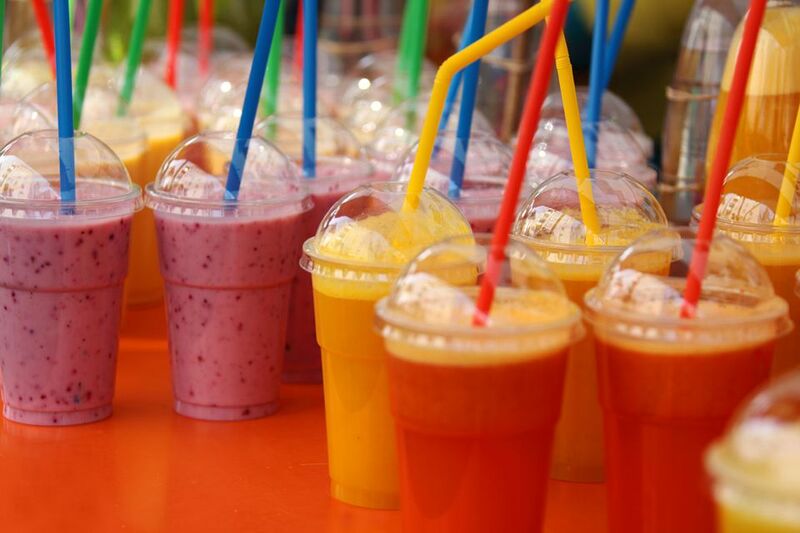 Summer isn't the only season for smoothies. This smoothie combines pumpkin puree with ripe bananas and the now-ubiquitous pumpkin pie spice. Your kids can enjoy it throughout the autumn months. You know green smoothie recipes are super healthy, but you may think you can't get your kids to eat one. Think again. This green smoothie recipe has a secret ingredient that makes it sweet and tasty for kids. Call it an emerald smoothie, and the kids will never know they're eating vegetables.